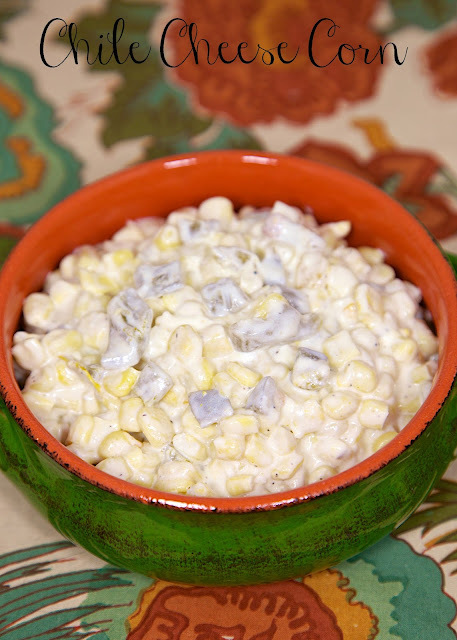 Chile Cheese Corn Recipe - corn, cream cheese, green chiles and spices - super quick side dish that is ready in under 10 minutes! Great with tacos and fajitas! This Chile Cheese Corn recipe is SO good and it only takes 10 minutes! Can't beat that! We served this corn with some Grilled Taco Chicken and it was great. We've made this several times and just can't seem to get enough of it. 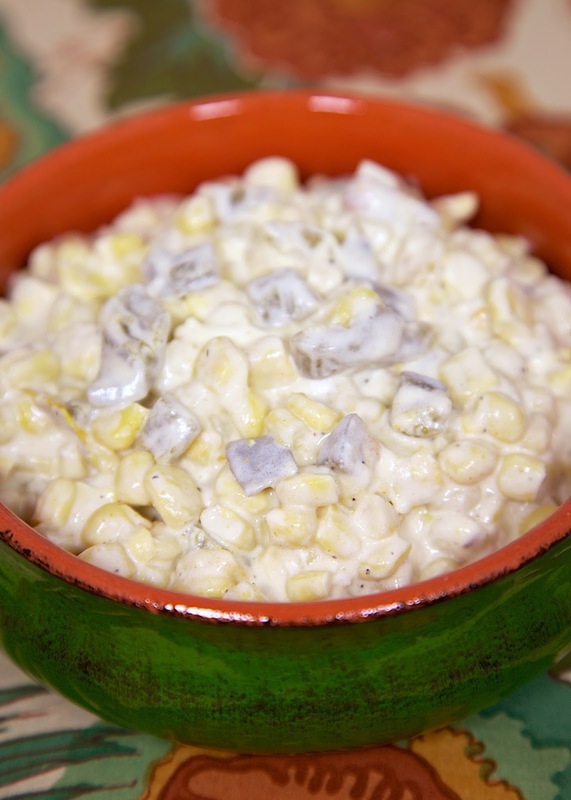 If you want to cut down on the calories in this Chile Cheese Corn recipe, use reduced fat cream cheese. I wouldn't use fat-free in this. I don't think it will melt properly. In a large skillet, combine cream cheese and butter. Cook and stir over medium heat for 4-5 minutes, until smooth. Stir in the remaining ingredients. Cook for 5 minutes, until heated through. Some things were not meant to be fat free and cream cheese is one of those things. We make this at work all the time. We use it as a chip dip.